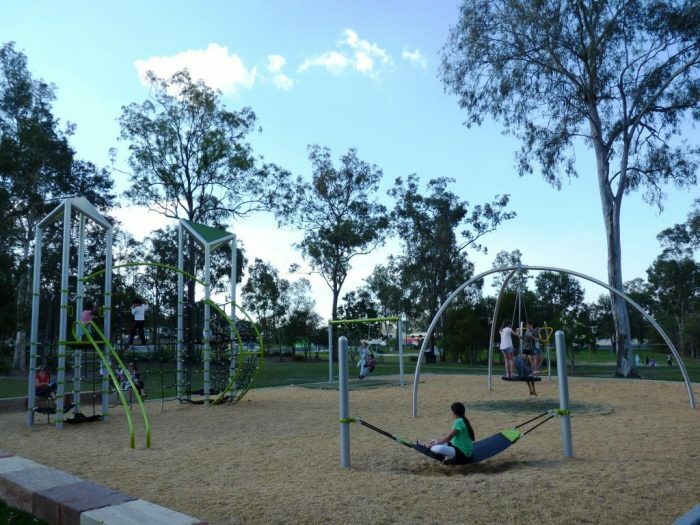 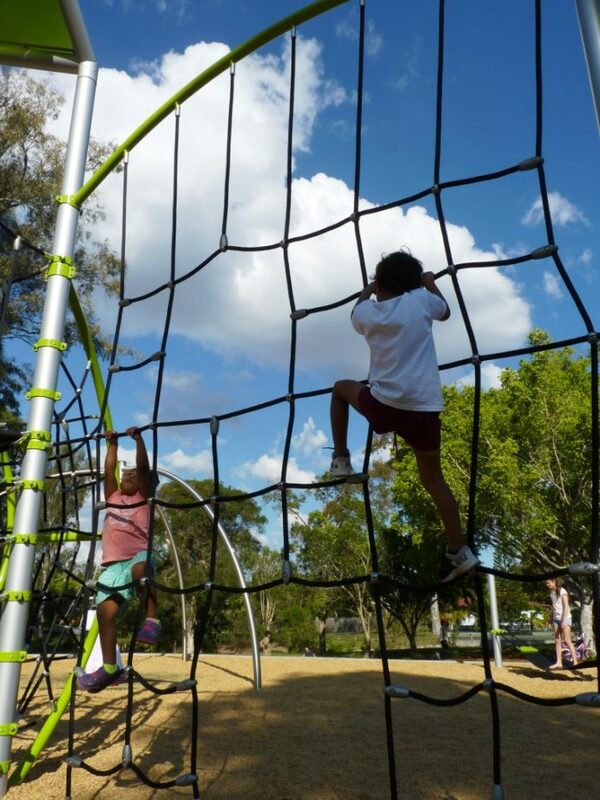 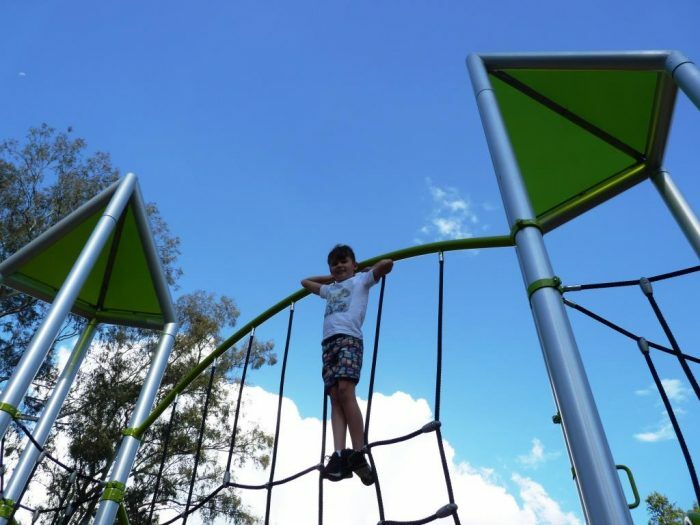 Adjacent to the popular and recently revamped skate park, the new playground at DJ Sherrington Park is a huge success in attracting users of all ages to get outside, get active and come together through play. 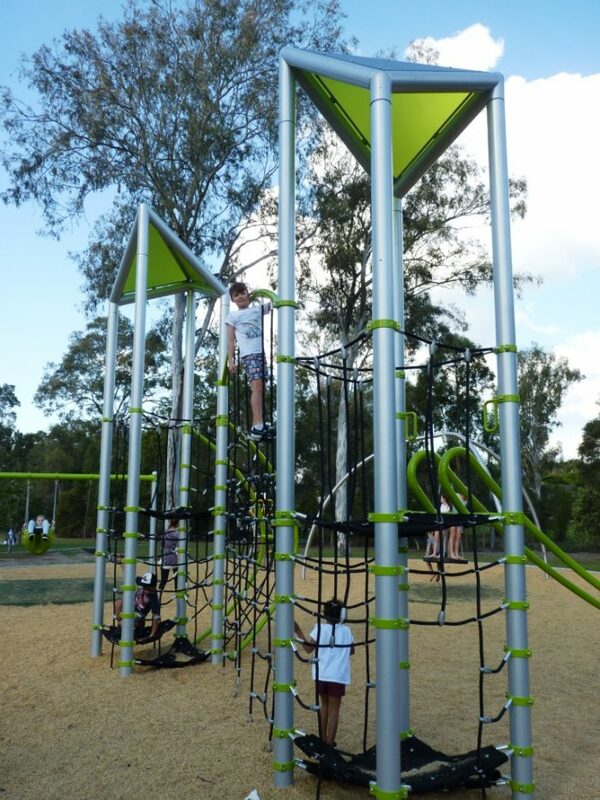 The two tower Geonetrix system is the centrepiece to the playspace providing a stunning visual with its architectural appearance and light play through the polycarbonate roofs. 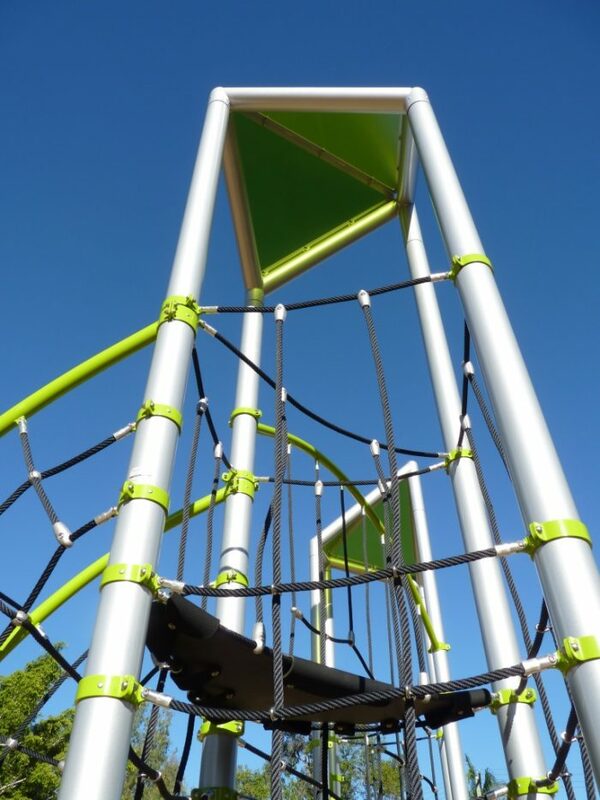 A climber’s paradise, children can test their skills and reach higher levels of play in between chilling out on the towers’ hang out points. 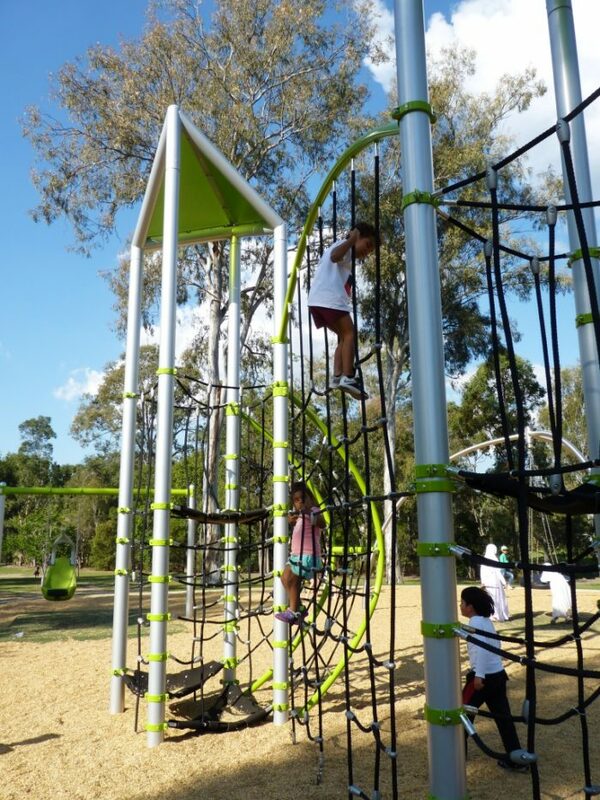 But it’s also the complement of activities surrounding the playsystem that create the interactive play experience. 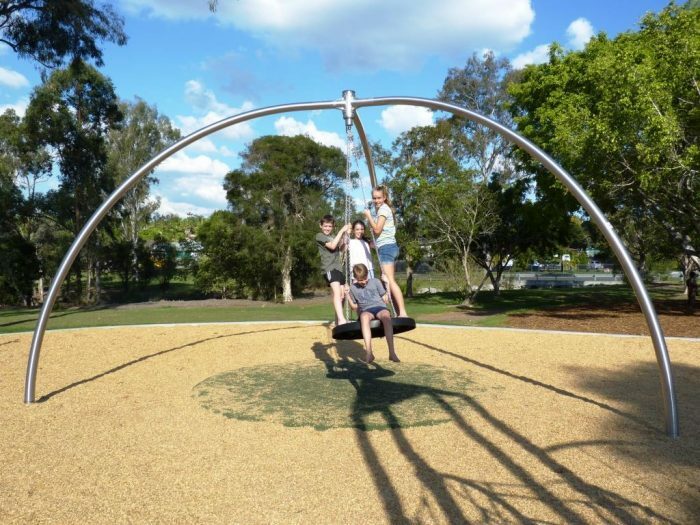 An all abilities swing seat specially designed for children with limited upper body strength and movement allows for children to get valuable vestibular swinging stimulation alongside their friends on the standard strap seat. 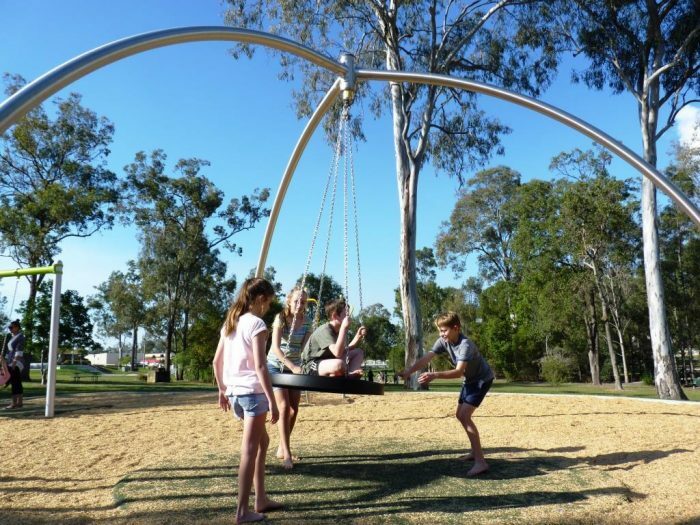 Inclusive Play is also encouraged in the Mega Swing – with its large seat accommodating multiple users and giving strong pendulum style swinging action. 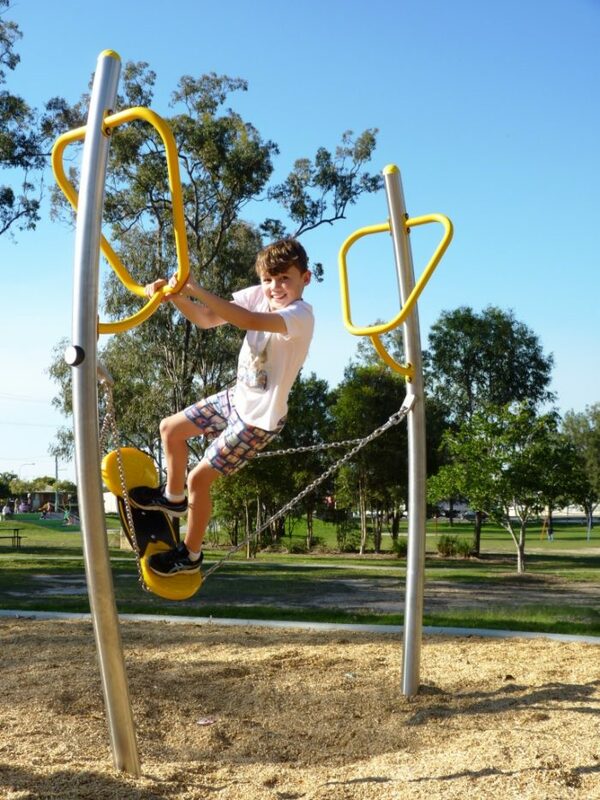 The stainless steel Air Rider promotes balance and skill as riders push themselves higher to develop a skateboard style swinging action – that’s a lot harder than it looks! 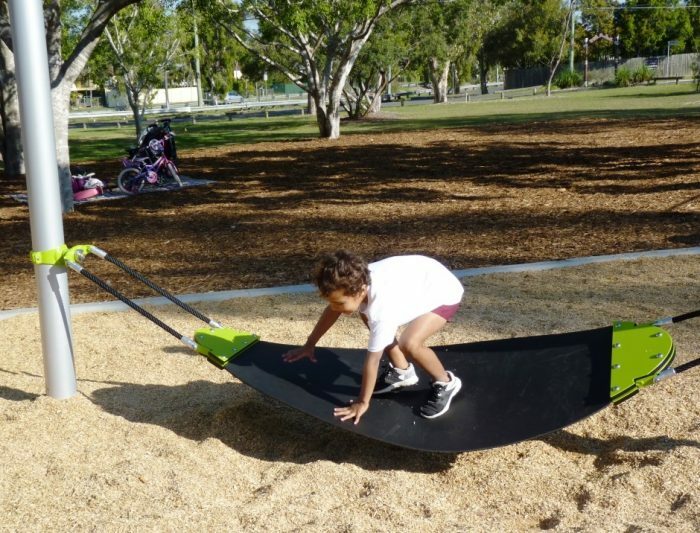 And doubling as a balance rocker or a chill out zone, the Boogie Board brings children and families together in rocking fun. 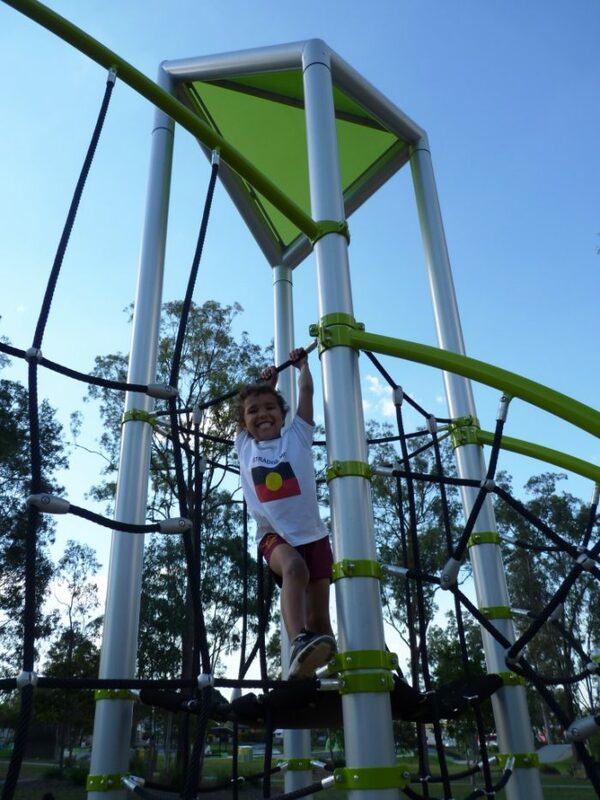 A tremendous asset to the community, this playspace set in natural surroundings creates the perfect community hub.